Make cleaning more fun with these colorful, unique and girly supplies. If you are like me, you hate to clean. However, if you had some of the pretty cleaning supplies featured on this page, the job may not be so bad. This page features pretty and girly cleaning supplies to make your daily household chores a bit more enjoyable. Some of the cleaning supplies you will find on this page include dust pans, brooms, microfiber dusters, toilet brushes, dish brushes, dish scrubbers and rubber dish gloves. 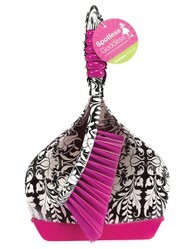 The cleaning supplies feature florals, animal prints and many other pretty designs to brighten your day. Please visit my Novelty Rubber Gloves page for more kitchen and bathroom cleaning fun! Boston Warehouse offers a wonderful collection of pretty cleaning brooms for your home. The first are the angled brooms. These unique brooms feature high quality plastic and long lasting cleaning bristles. They are available in pink, purple, orange, yellow and turquoise and are embellished with a 3-D flower. Broom measures 48" high. 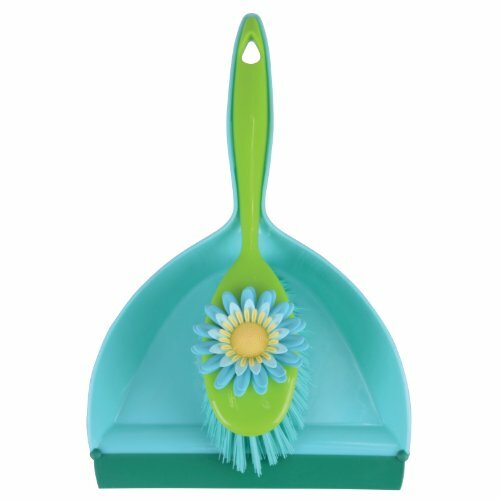 The broom and dust pan sets come in many cute designs including Peacock, Ladybug Lane, Flower Garden and Bamboo. The lobby style brooms feature a vibrant watercolor design. The microfiber dusters are super adorable. They look just like beautiful flowers. The removable duster is made of viscose and chenillea and it measures 5 1/2". Adorable kitchen scrubbers and sponge holders. These kitchen scrubbers are so unique and fun! There are scrubbers, scrubber sets and sponge holders available. The scrubbers and sets feature adorable designs including dollhouse (pictured), porcupine, little piggy in a pen, gator in a wave, flowers, ladybug on a leaf, flamingo and friends, dogs, cats, rubber duckies, penquins, pink elephants, brushing beauties, patriotic, strawberries, bumblebees, vampires, frogs, cupcakes, princesses, bamboo, ice cream social, grapes, monkeys and much more. There are also complete countertop caddy sets which include dish brush, soap dispenser and holder. 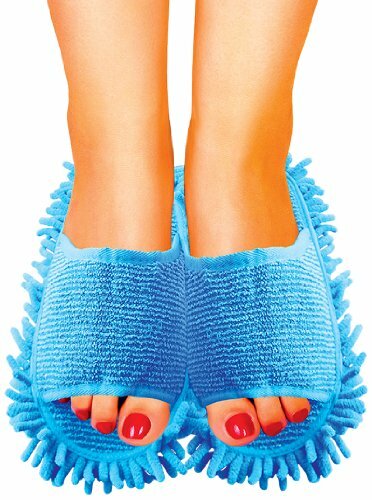 These cleaning slippers are adorable and will help you clean your floors without giving up your need for fashion. Slippers feature chenille soles and can be used on harwood linoleum and tile flooring. They are available in many cute designs including animal prints, bold colors, animal faces and some even feature sweet bow ties. This page features spades, forks, clippers, garden sets, wheelbarrows and more. 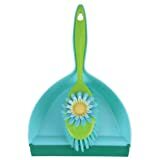 These garden tools break away from the boring green and black and offer splashes of bright colors and florals. Some of the pretty rubber glove styles include leopard, zebra, florals, gingham, cupcakes, roses, hearts, polka dots, cherries and more. Office furniture, desk accessories, file folders, staplers and more. I never knew there were cute cleaning items! I guess it might help make me smile while doing those horrid jobs!